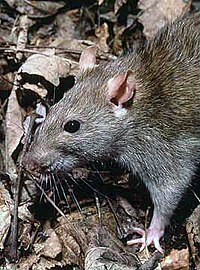 Rattus in Mammal Species of the World. Helgen, K.M. 2006. A taxonomic and geographic overview of the mammals of Papua. The Ecology of Papua. Singapore: Periplus Editions. pp. 689–749. Maryanto, I.; Sinaga, M.H. ; Achmadi, A.S.; Maharadatunkamsi 2010. Morphometric Variation of Rattus praetor (Thomas, 1888) Complex from Papua, with the description of new species Rattus from Gag island. Treubia 37: 25–48. For more multimedia, look at Rats on Wikimedia Commons. Bu səhifə sonuncu dəfə 27 fevral 2019 tarixində, saat 06:38-də redaktə edilib.